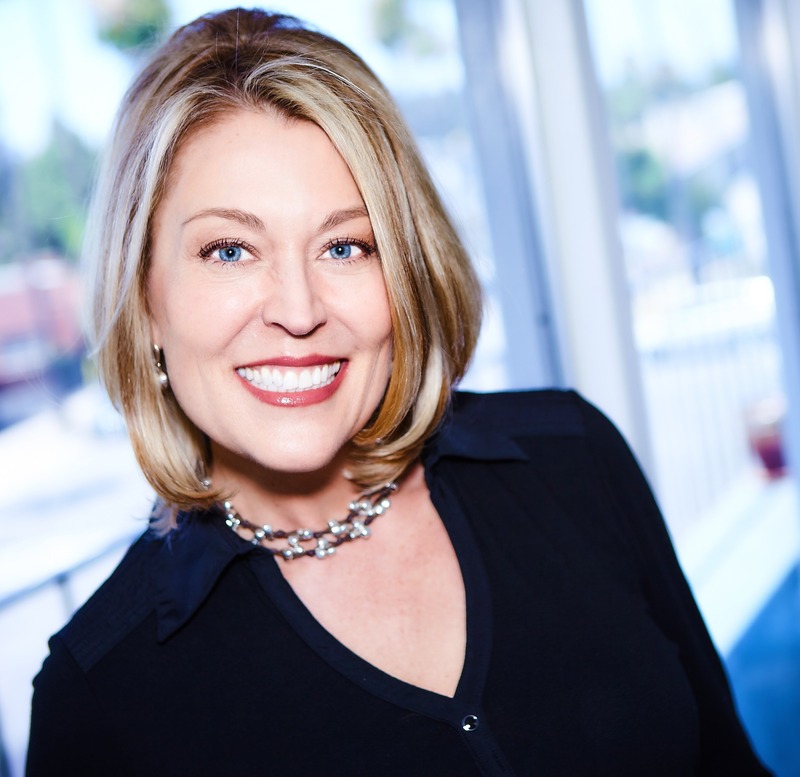 Colette Carlson is a human behavior expert, author and keynote speaker who inspires individuals to connect and communicate in real and relevant ways. Colette grew up in Chicago and now lives in San Diego, but she still prefers pizza over tofu. Colette’s articles have been featured in Success, Business Management Daily, and Working Mother magazines; and her monthly newsletter engages readers everywhere on the power of connection. Her book, Stop Playing Fictionary: Speak Your Truth to Stress Less and Connect More releases in January, 2019. Through her real-world, highly-engaging, and laugh-out-loud funny programs, Colette teaches organizations how mindful communication creates powerful connections. Every presentation is customized and personalized, and audience members learn how to form and sustain connections that drive productivity, engagement, and collaboration. From the top leadership to the front line, it’s all about the power of connection. Every person at every level of an organization benefits from the power of connection. Most importantly, that power begins within. The awareness and discipline of connecting with yourself first, in order to genuinely connect with others, is what Colette inspires in people everywhere. Her clients include Boeing, Microsoft, Cisco, Pepsi, Procter & Gamble, Great Clips, Domino’s Pizza and the United States Government. Stayed Tuned for Colette’s new book “Stop Playing Fictionary: Speak Your Truth to Stress Less and Connect More“. Coming soon! Mike Domitrz: Welcome to the Respect podcast. I’m your host, Mike Domitrz, from MikeSpeaks.com, where we help organizations of all sizes, educational institutions and the US military create a culture of respect. And respect is exactly what we discuss on this show so let’s get started. This week we have Colette Carlson, a human behavior expert, author and keynote speaker who inspires individuals to connect and communicate in real and relevant ways. Colette grew up in Chicago, now lives in San Diego, two of my favorite cities by the way, but she still prefers pizza over tofu. I love that sense of humor. Colette, thank you so much for joining us. Mike Domitrz: And for all my listeners, I know Colette because Colette is another speaker and we actually got some time to really spend a few hours together in Toronto a couple of months ago in an event chatting. I love your spirit and your energy, so happy you can be here with our listeners. Colette Carlson: Thank you, looking forward to it all. Mike Domitrz: Colette, you speak on the power of connection as it applies to leadership, sales, and stress. What role does respect play when it comes to connection? Colette Carlson: In my opinion you can’t connect unless someone respects who you are. In other words, it’s easy to just make a fast connection, you know, you meet someone, you shake hands, you meet eyes, and you may feel that you have created that connection, but if it’s going to go beyond that, something just very light and social and become a real genuine, rich relationship then respect is paramount because no one is going to hang out with someone they don’t respect, hence disconnect. Mike Domitrz: And what does that mean to you? When you say respect in a relationship like that, how does it show? How do you know it’s there or not there? Colette Carlson: I think that respect shows up everywhere. Respect is the small things, your supervisor tells you that they want to meet with you at a certain time, you’re present, you’re sitting there, you’re waiting and then they come blasting in the door 10 minutes late with an “Oh sorry, I was on a call”. Again, if this is a one-off then that’s not a big deal, but if this becomes a pattern or if this is how your supervisor continues to show up, then you’re going to start losing a little bit of respect so, it starts in everything they do. It starts in how they address you. You are walking down the hallway, and they’ve got their nose down and kind of give you a “hey” versus a genuine eye to eye, “Hi, how’s it going today?” Respect, to me, is really how someone continues to show up and make you feel. Mike Domitrz: I love that. How they make you feel. And how can you notice ways, what can you look out for of ways that you might not be realizing you’re lacking in giving that respect to those you are leading and working with? Colette Carlson: I’m all about awakening your awareness and I encourage people to bring truth tellers into their lives. These are people that you do respect and trust and help hold up the mirror to you and help you realize what a whack job you really are and ways you’re not meeting people’s needs. First of all, I’m a big believer in seeking out those truth tellers and getting feedback. So I would encourage anyone to say to those, start with those closest to you, your immediate family, because they always have something to say, but I would start by saying, “What do I do throughout the day when I’m interacting with you that makes you feel less than respectful, that makes you feel I’m not really present?” And then listen and let’s say they say, “Every time you have a conversation with me, your eyes dart away and check out your phone”. Ding, ding, ding. Okay. Awareness number one, that would be a great thing then to put aside while you’re actually having a conversation with the individual. When, and these awarenesses that you have will transfer into the workplace because I really believe your personal and your professional life are so much more tied together than people want to acknowledge. You bring your behaviors with you wherever you go. You may control them a little bit better in the workplace because others are watching and you feel like you’re being judged more critically, but you still need to … at the core, you’re going to show up as how you are. In the workplace I would also encourage you to do the same thing. Bring together some of the same people you work with individually, one-on-one, at the right time, right place and by that I mean a time where it feels safe for them and you might even say, “You don’t have to give me a fast answer, but I’m really genuinely interested now that we’ve been working together a while, if there’s anything that I’m saying or doing or any behaviors that are showing up that you feel are getting in the way of us having a more respectful relationship and a deeper connection, or things that are simply getting in the way of us running this business more effectively”. Mike Domitrz: I love that you focused on, “Are there times I’m not present, it appears I’m not present to you” because I think somebody’s going to feel safer answering that “than times I disrespected you”, because somebody might think well, you don’t disrespect me. I’ve never thought that. But when you say, “Times I’m not present” suddenly people are like, “Oh yeah, your phone. Oh somebody walks by, and you’re waving at them while I’m talking to you”. That seems safer to tell you than to tell you, you’ve disrespected me, which can feel a little scary maybe, especially in the workplace. Colette Carlson: Absolutely. And you know, you made me think of something that I witnessed happen. There’s times, for example, if you’re walking along with someone and a third individual comes by, these two individuals end up in a conversation with each other and sometimes people don’t even stop and introduce you, that third party standing there, to the individual. Now, sometimes that happens because people have forgotten the other individual’s name and they’re trying to cover themselves so they don’t take the time, but I’m all about speaking your truth because I think it’s easier to keep it real and in that moment, it’s perfectly okay to say, “This is Colette. I’d like to introduce you to her”. And look, I’ve got a lot of my mind, I could tell you 10 things about yourself, like blah, blah, blah, blah, but your name, the file cabinet’s just not coming up right now. Help me out”. And then introduce the person to one another because that’s something that happens often and you’re just standing there on the side like, “Hello, am I even here?” So that’s another area where you’re not feeling present with a person. Mike Domitrz: One thing that my wife and I have … this agreement that if I’m sitting there and this person clearly thinks they know me and I should know them and I’m not introducing you, that means I’m clueless to who this person’s name is, or I’m having a major brain freeze, I may know them, but I’m having a brain freeze and so that’s your signal to go ahead and say, “By the way, I’m Karen”, that kind of thing. I’m not ignoring you, that means I’m literally in a brain freeze moment, and I don’t want to hurt this person by going, “Who are you?” When they clearly think I know who they are. Don’t get me wrong, if I don’t know them well, that’s different. Then I will say, “I’m sorry, can you help me remember your name?” And I’ll just be upfront about that, but that’s a little agreement that we have to help that because you don’t want that person to feel like I’m leaving you out. I’m not trying to leave you out, I’m lost right now. Colette Carlson: Mike, that’s something that works well when you’re close like you are with your partner or if you have a work partner, but I’ve been in these circumstances where you happen to be walking with somebody in the company that maybe is two levels above you. Now you run into that other individual who is also much higher on the food chain and in those circumstances, it’s a little bit more awkward to just jump into the conversation and say, “Hi, I’m Colette Carlson” because sometimes there’s absolutely no break in the conversation to do so. Yeah, trust me. I’ve got something similar going on with Blues Eyes myself but I notice sometimes people just get dismissed in a work environment in that same circumstance. Mike Domitrz: I know. I think that’s really important that you brought that up so I appreciate that. Yes, what I’m referring to is when you have an established relationship, you can do that. Which, obviously, and that could be an established, long-term work relationship, like a colleague, “Hey, if I don’t do this …” but you need that rapport to be able to have that conversation take place. Mike Domitrz: Be a better manager. And that allows them to say, “Well, sure.” Well, by doing that, that tells them you genuinely want their input versus “Hey, can you tell me when I’m not being respectful?” That can be like, oh what’s going on? Why are you suddenly asking this question? But if I come in with, “How open are you to helping me be a better manager?” You can tell I’m trying to learn, and I’m coming from a place of genuine wanting to grow versus maybe I’m upset because somebody said I disrespected them and I’m curious if you see the same thing. Because you and I both know people play these mind games when they get these questions. Like, why am I being the one you’re asking this to, what’s going on, you’ve never asked this before. Why me? I think giving them a safe landing spot helps. Colette Carlson: Yes. And that’s where, again, set the framework. You could even come and show up back in a work environment and say, “I just attended this program, I just heard this podcast or I just read this book and I realize that if I’m going to really grow to the next level, I have to be open to hearing additional feedback from those I lead and so you set that frame and then the question you mentioned that Phil adds is great. In fact, I’ve been encouraging people to use the phraseology, “Are you open minded to hearing blah, blah, blah, blah? Are you open minded to giving me feedback?” Because, again, no one wants to consider themselves not to be open minded. It’s a very powerful word. Mike Domitrz: Yes, yes it is. It’s great stuff. This is excellent. Your company is called, Speak Your Truth, Inc. What made you decide to choose that particular name, that mission? Colette Carlson: Two-fold. I’m old enough, Mike, that I’ve witnessed such hypocrisy in the workplace and with people in general. People who say one thing and go and do another and people who say all the right things, but don’t practice or their behaviors state otherwise. That was a big huge piece of it. And the second area is really to hold myself accountable to speaking my truth. I believe that speaking your truth is really the key to your success. I thought, I’m claiming it. Mike Domitrz: No, I love that. You clearly state there’s a difference between stating your truth and stating your mind. For someone listening, what’s the big difference there? Colette Carlson: Absolutely. I think you speak your mind to make yourself right. You speak your mind when you want to hurt someone. You speak your mind when you make it all about you and your platform and what you believe and there’s usually someone paying a price for you speaking your mind. I believe speaking your truth is the opposite. Speaking your truth is really two-fold. It’s when your thoughts, your words, and your actions are one and the same. So in other words, when you’re in authentic alignment, you are speaking your truth. But also from a business context, I believe speaking your truth is used with … when you’re clear, when you’re sincere, when you’re respectful in how you go about that. You actually speak your truth to help or improve or heal a situation. So it’s the difference between bombing a bridge and building a bridge in order to become more effective as a team. Mike Domitrz: Do you give people a question to ask themselves before … What’s a test for myself? Is this me speaking my truth or is this speaking my mind? Colette Carlson: I always come back to what is the goal of this conversation. Is it really to help and improve a situation and a relationship and make it better? Or is it just me needing to tell someone what I think? Mike Domitrz: Yes. That’s powerful. And you like you said before, that difference between trying to be right versus trying to learn and grow. Now speaking of that, let’s say you’re in a situation that is tougher. You feel you’re being disrespected, or you’re not being valued. You’re not being heard, and you want to speak your truth and remain respectful. You feel it’s one of those moments where you’re not being heard at all. How do you do that? Colette Carlson: First of all it’s great to notice that you’re aware of the situation, that you’re hesitating going forth. The D in deal is really about describing the data. It’s about sticking with the facts and when you stick with the facts, you’re not getting caught up in interpretations or evaluations or opinions. It’s the difference, for example, of saying to someone, you’re in a meeting, you witness someone interrupt another individual. And you might think you’re helping the situation or the customer service at your location by saying to them, “Jeremy, you were rude to that customer”. Well again, that’s an interpretation and therefore that is more of a “speak your mind” moment, and you’re not helping Jeremy identify what he did and also it can get into a drama situation because Jeremy can say, “No, I didn’t”. So if you stick with the facts, the data, it sounds more along the lines of, “Jeremy, you cut that customer off mid-sentence”. So it’s very clear, and it is factual-based, so that’s the D.
The E is about “expressing your emotion” and the impact of that. Describe the data. The E is express the emotional impact, and the A is “ask assertively”, and the L is “listen” to learn. Now that I’ve expressed what the D actually represents, I’ll move to the E, express your emotion with impact. I would encourage people to say with words, such as concerns, surprises, puzzles or uncomfortable. Let me give you an example. This puzzles me because … Or this concerns me because … Or that makes me uncomfortable because … The reason that I love those four words, Mike, is there’s not a lot of shaming or blaming in them. It’s not like you’re saying, “This disappointed me because …”, because then people go into shame and blame, they start shutting down, and you’ve missed that opportunity to actually create a connection to get people to recognize that behavior that’s going on that you’re addressing. Those four words, I find, work well. Colette Carlson: … Surprises and uncomfortable. Yeah, love those four words and especially when you think about respect and people are telling off-color jokes around the office. That statement, “You know, that joke made me uncomfortable”. It’s not a word that people can argue about. It’s just your feelings, so it’s really, I love that word. I use it often in fact. And then A, again, was the “ask assertively”. What I find too often is when we’re speaking our truth, or we’re addressing an issue, we tell people what we don’t want, but we rarely state what we do want. I’m all about helping people create a vision for what it is that they want so that others can see it. In fact, I always use this example even as a parent. I was fortunate enough to get clued into some of this behavior early on before I had my children and so I was one of the few parents around a pool that would yell, “please walk” versus “don’t run”. Or we’d go into a store, and I would say, “Use your eyes” versus “Don’t touch”. Because when you think about it, when you tell someone what not to do, that’s the first thought they have to get their brain around and then they have to flip it to now what you want them to do. It’s an extra step that you don’t need and plus maybe it’s just because I did grow up on the south side of Chicago, but to me, don’t is a dare. So why even plant that seed with people? Mike Domitrz: By the way, I love this because in our work with respect, as you were starting to reference earlier, we’re all about … you have to teach what to do. To tell somebody “Don’t disrespect somebody”, or “Don’t do this”, there’s nothing I can do with that. Literally, there’s nothing I can do. You’ve only given me a not … it’s like, “Don’t fumble”. Well you know what’s about to happen? They are going to fumble because you focused them on the only thing they’re not supposed to do. Colette Carlson: Yes. It’s just a wonderful way to help people see the vision of where you want them to go. And then the last step was “listen to learn”. The reason that I think listening to learn is so important is you’ve got to listen without judgment and come from a place of curiosity and compassion because you really do not know what’s going on with someone and you may be making an assumption as you speak your truth. And this is an opportunity to close the loop and to give them a chance to say what they want to, what they need to or so you can learn what they’re all about. Let me give you a full example. I’m sitting in an office and I watch this guy walk out to the receptionist and just use his voice loudly, which again, to me, anytime you’re raising your voice above a speaking level and you’re not doing it to cheer someone on, you have now crossed the line to speaking your mind. I believe you can say everything, again, with clarity, sincerity, and respect and that means your tone as well. So this guy comes around the corner and he just goes, “You didn’t follow the procedure”. First of all, I encourage people never to start a sentence with the word, you, unless they are complimenting someone because again, you go back into blaming, shaming. But I thought, man, all he had to do was really deal. The D, describe the data would have been, “Hey, there’s a procedure for this that we’ve got to follow”. That’s the data. The E would be, “This concerns me as it could create liability for us, if it isn’t followed.” A, ask assertively for what you want. I need your commitment that you’re going to follow this process without exception. L, listen to learn. “Can we work together on this? Or were you trained otherwise on this procedure or do you need some additional training or is there something going on that I don’t know about that you’d love to share with me?” That’s a fast example of just how something as simple as that conversation could have down with respect. Mike Domitrz: Where do you think people struggle the most with that? The formula is so beautiful, it gives us specific things we can do. Where do you think people’s struggles are when they’re trying to … when they are in the moment trying to do it? Colette Carlson: Two places, describing the data. I mean, Mike, I help people craft these and I always encourage people to write to me if they are having a challenging critical conversation at work and I will help them with this material. I just ask that they give me some time because, obviously, I’m on the road speaking and busy so don’t wait until the last minute. But you wouldn’t believe, nine times out of ten, when people write to me with an issue and are looking for help, they are not sticking with the data. So I’ll get comments like, “Colette, I have this person that I work with and she is just very disrespectful and has a poor attitude.” And I will have to write back and say, “Well, tell me what that looks like”. In other words, can you provide three examples that outline these behaviors you just mentioned. And people struggle. Mike Domitrz: Right. Because they’ve created more of a story than what actually happened. Colette Carlson: Correct. And so what happens is they’re not direct with respect. They end up getting caught up, again, into drama. Well, I just don’t like the way she treats me. Well, can you please provide an example of a time when you felt mistreated by this individual? It’s just how she is. Okay. Well again, without data I can’t support you in this process. Mike Domitrz: Right. Right. There’s nothing I can do because … What I think about that is, that means there’s a prior history there, that they’ve created a story. And so you can even explore that. “Is there a history here I’m not aware of?” That could be the question that could play into this because maybe that helps them realize you’re doing this based on the past, not on what they just said. But I’m not going to say that because that’s obviously not healthy. But, “Is there a history I’m not aware of?” Is a genuine, objective question that they could say, “Yes, I don’t care for this person, or I don’t like this person”. It’s possible that their words impact you differently. Right, so you can have those conversations. Colette Carlson: Absolutely. And if I were coaching them through the process, those are beautiful questions that would come up. The challenge is, they are sending it to me via email and I’m on the road trying to send back some information, get some information. But yes, that’s a huge piece and I find, again, that people bring their history to work, just like you said, Mike. What you don’t heal continues to show up in your world and so often times, if you really take the time to coach them through, it’s a button that they have been pushing or allowing to be pushed from the beginning of the time, based on their family of origin or their first supervisor. That, I believe, is really tough. And then, ironically, the “ask assertively” is also tough. Sometimes people are more comfortable telling people, like you said, what they don’t want, but having them paint a picture of what they do want is more challenging for them. For example, I know this is … we’re talking about business, but from a personal side, it’s not uncommon … You and I end up on airplanes or in conversations following presentations with people and there’s a lot of people that I speak with that want their partners to change their behaviors. But when I say, “Well, what would having a healthy partner look like? What would they do? How would they show up in the morning?” Or they say, “I just need more help around the house”. Well that’s great, what does that help look like? Specifically, what are three things someone could take off your plate that would make you feel valued, respected, and appreciated? And then it’s like you’re looking at a blank wall. Mike Domitrz: And once again, it helps them realize the story or the racket they’re running in their head versus reality of what’s actually happening in this moment. Mike Domitrz: It’s always … I’m reading this great book and as I’m reading it, I’m thinking of so many people that need this, and they’re not thinking of themselves. And we all do it at times. Oh, so and so needs to read this. Wait. There’s a reason I’m reading it. I love that, that it helps that expose that, so we can learn from that process. And you’ve got a book coming out, which is exciting, called “Stop playing Fictionary, Speak your Truth to Stress Less and Connect More”. Obviously, we’ve talked quite a bit about things that are going to be in that book, I can tell. But what are things you’re most excited about people getting from the book? Colette Carlson: That they really write their own story and to stop living life in the past lane. To figure out what they want, do their healing and move forward. The book, though, primarily is filled with lots of anecdotes and stories of my own experiences and those of all the people that I’ve interviewed, and they’re short. It’s a fast read on each topic and helps them realize. At the end of it, there’s a couple of questions to ask themselves to gain that awareness and again, depending on how deep they want to get or go, they can take it there, but I do really want people to recognize that most of the frustration that they run into in life is self-imposed. Mike Domitrz: And you have two other books that you love, “Crucial Conversations” and “Love is a Killer App”. What do you love about those two books? Colette Carlson: “Crucial Conversations” is one of those books that … I had been talking about speaking your truth for quite a few years, but when that book came out I thought, “Oh man, they nailed it”. It is just an excellent phrase … The phrases in that book and the process … For example, one of the very first things they talk about when you’re going to have a critical conversation, or I call speak your truth conversations, is to start with heart. This is that reflection piece that I recommend, but I love that phraseology even. Start with heart, think about your own role in it and how you may have been contributing to the situation. So there’s that awareness. It’s just a beautiful book, and I think that they provide lots of examples and scripts and phraseology to help people move forward. Love is the Killer App”, I read that book so many years ago, but it was one of the first business books, when I read it, that actually talked about empathy, compassion, love, connection, in the workplace that was written by a man. I love Tim Sanders work, and he talks about being a “love cat”, and I really resonated with that because, fortunately, I was raised by a “love cat”, which was my father, and I when I reached out directly to Tim via email after reading his book, not ever expecting any kind of reply given his busy life, within about 10 minutes I got an email back from him, which just, to me, spoke volumes that he speaks his truth, walks his talk, and practices what he preaches as well. Mike Domitrz: That is awesome. How’d you get here? How’d you get to where you are in this mission? Colette Carlson: I started out as a big, fat liar. You teach what you had to learn in my circumstances. Even though I was raised by parents who loved me, somehow I bought into the fact that I had to be perfect in order to be lovable and what that meant was there is no such thing as being perfect, right. We’re imperfectly perfect every step of the way and so I really sabotaged myself. I used food as a way to play it safe. I stuffed down my truth rather than expressed it. Don’t get me wrong, I could tell a cab driver where to go if he tried to rip me off, but I didn’t have the ability to be vulnerable and speak my truth with the people that were closest to me whether that was my family, or a relationship that I happened to be in or even a best friend telling her I did not want her to wear my new blouse that weekend. I was just so afraid so I was kind of like this boastful outside, and I don’t mean boastful in the way of telling myself how great I am, but if you met me you would have thought that I was a very strong, confident person who would have no problem telling someone. Mike Domitrz: That shield of confidence. Colette Carlson: The shield, yes. I could speak my mind, but I was not speaking my truth. It really wasn’t until my mid-20s, 50 pounds heavier starting in high school as I protected myself through food and stuffed down my truth, that I finally had read enough, hung out long enough in the self-help section of the bookstore, as I call it, and went to some seminars and then went into sales for both Tom Hopkins and Brian Tracy, national sales trainers, and really started heavy on the personal development that I realized that I had to save myself if I wanted to achieve what I knew I came here to do. Mike Domitrz: That is awesome, and I love where it’s taking you and you’re helping so many people, which is fantastic. Colette, I want to thank you for sharing so much brilliance and insights with us today. Colette Carlson: Thank you, Michael, it was my pleasure. Mike Domitrz: Absolutely. And for our listeners, you know what’s coming up next. That’s the question of the week. Before I answer this week’s question of the week, I’d love to ask you a question. Would you please subscribe to this podcast, the Respect podcast with Mike Domitrz. By subscribing, you can make a huge impact. Now you might be wondering, “Mike, how does my subscribing to your podcast make a huge impact?” Well, here’s how. For every person that subscribes, it raises the rankings of the show on the search engines. So for people who care about respect, like yourself, when they’re doing a search for podcasts, they’re more likely to find this show, thus providing an awesome opportunity for us to spread more respect around this world. And all you do is hit subscribe under your podcast. Plus, the second benefit is, by subscribing you automatically get every episode right into your phone or whatever device you are listening to the podcast on. It happens automatically so subscribing also makes your life easier. Now let’s get into this week’s question of the week … Oh and by the way, you can always ask your questions of the week by joining us on Facebook in our discussion group. It’s called the Respect podcast discussion group. Go there on Facebook and ask whatever questions you would like me to answer and/or address in this segment of the show and then listen to each episode to find out when your question is included. This week’s question of the week comes from a different podcast I was on where the guest asked me this question and made me pause and go, hmm. So I’m going to share it with everybody here and that’s my answer I’m going to share, and I want you to think about what yours would be. The question was from the podcast, Shareable by Jeff Gibbard. Great podcast called Shareable, check it out, listen to it, subscribe, review. Jeff’s very cool. Here is the question Jeff asked. What is going to be a critical skill people are going to need in the future? My answer was listening. I don’t think that’s ever going to go away. I want each of us to pause and think today, am I listening or am I defending? There is a huge difference. We often want to debate and hold to what we believe. Listening means we have to be open to other possibilities. Are we listening, are we taking that skill with us every day going forward? That’s this week’s question of the week. Do you know what I would love? I would love to hear your answer to this week’s question of the week so would you please answer what your answer would have been, if you were asked that question today on the show. All you do is go to our Facebook page, we have a special group where we have these discussions, called the Respect podcast discussion group. So the Respect podcast discussion group and share with us what would your answer have been to this week’s question of the week and take a moment, post us a new question for future episodes. What question would you like to hear me answer on an upcoming episode? That’s all done on Facebook in our special group, which is the Respect podcast discussion group. Can’t wait to see you there. Thank you for joining us for this episode of the Respect podcast, which was sponsored by the Date Safe Project, at DateSafeProject.org. And remember, you can always find me at MikeSpeaks.com.